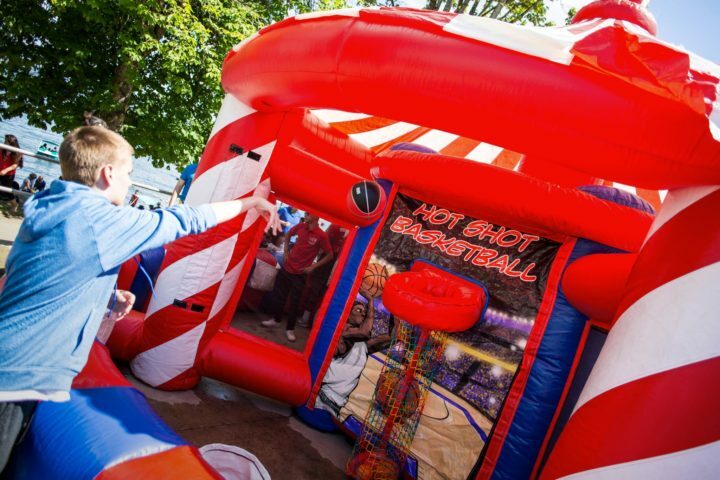 The Basket Toss carnival game one option in a large suite of available carnival rentals. 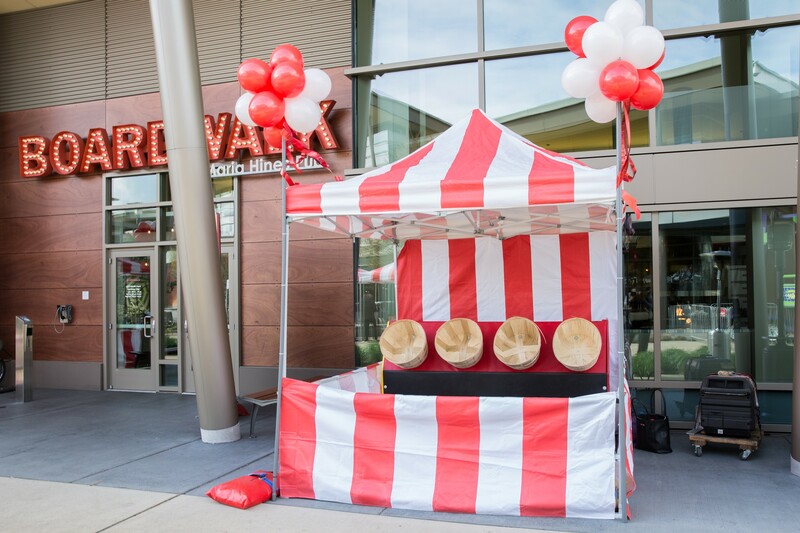 The 10′ x 10′ carnival tent acts not only as contained activity, but with the bright red and white stripes, makes this rental a great decorative addition to carnival themed events. 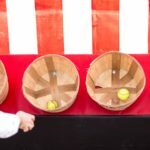 This game can be professionally staffed or ran by a volunteer. Add in carnival game prizes to truly recreate the circus or boardwalk experience. 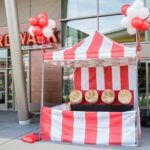 When working on a carnival themed event, interactive games are one of a four-pronged approach to carnivals. 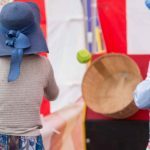 In addition to activities, it’s crucial that you have the sounds, smells, and visuals required to truly immerse event attendees. 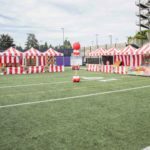 Consider adding music or entertainers for the sounds, concessions like popcorn and cotton candy for the smells, and elaborate decor peices for the sights! 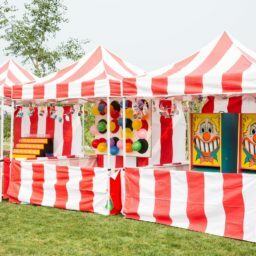 A five-sided inflatable carnival game tent. 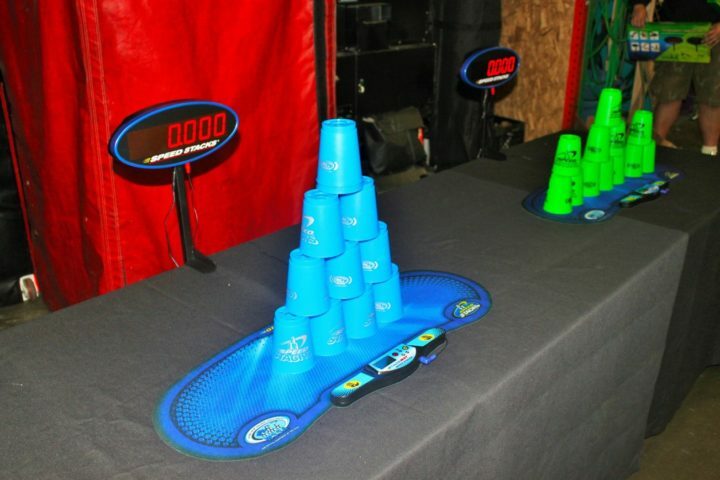 Includes Quarterback Toss, Hot Shot Basketball, Alien Invasion, Frisbee Catch, and Knock Me Out games.